Not all Diamond Drills/Bits are created equal. Diamond Drills are found in hundreds of different varieties, types, bond types, and manufacturing methods. 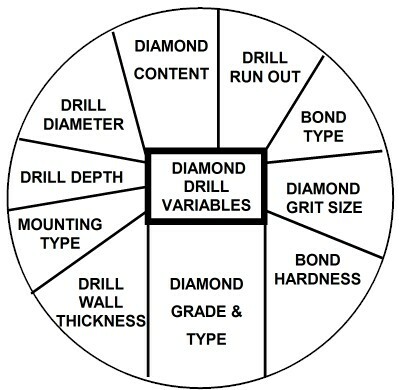 Its important for the user to understand the subtle differences between diamond drill & diamond drill bit types, their intended application and their affect on performance. The Guide below was designed to aid diamond drill/bit users of all experience levels from novice to experienced manufacturing engineer, researcher and professional craftsmen. Better understand the numerous variables that play a vital role in the success of your diamond drilling operation. 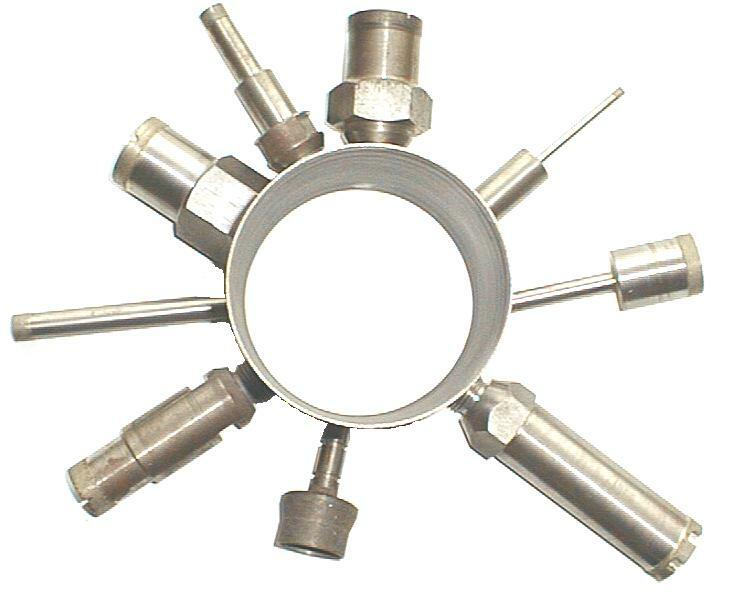 Each diamond drill/bit is designed specific application, and hence may react differently under different conditions. What worked for one application, may not work for another. After reading this guide, the user will be equipped with the knowledge to make a more intelligent diamond drill selection. And Select the Right Diamond Drill/Bit for their material/application the First Time. Diamond is the hardest material known to man kind. 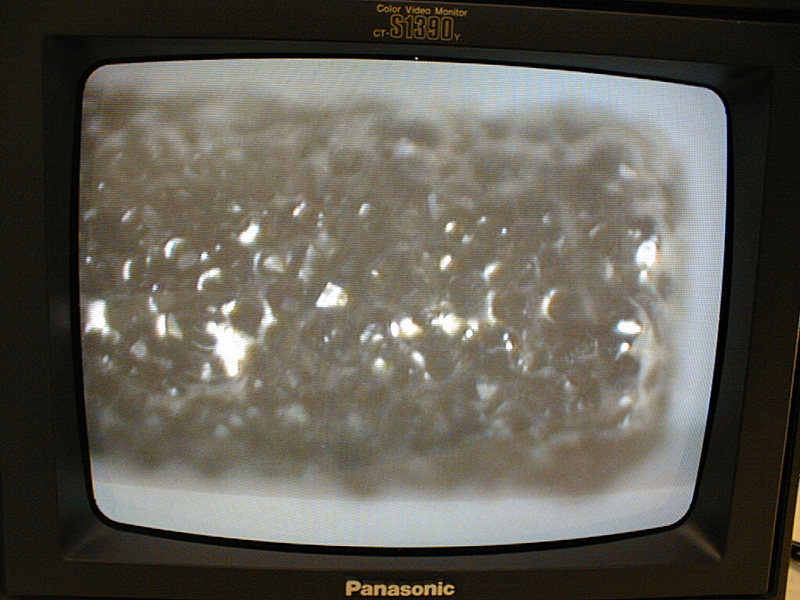 When used on diamond drills/tools, diamond grinds away material on micro (nano) level. Due to its hardness Diamond will work all types of materials from hardness of 40 on Rockwell scale and up. Diamond (diamond drills/bts) will machine hardest material, including those materials that other conventional types of abrasives, carbide and high speed steel will not. Diamond Drills/Bits will drill materials faster, produce smoothes surface finish quality, provide consistent performance, & yield (cost per part) possible. Diamond drills are an excellent alternative to carbide, and other types of drills Unlike carbide, high speed steel, & other types of drills. Diamond drill works by grinding away material on micro (nano) level. Carbide and other types drills on the other hand cut material with a sharp cutting edge. SMART CUT is an advanced technology that redefines the standard in cutting and drilling. Diamonds are oriented inside matrix, so that every diamond is better able to participate in drilling action. SMART CUT open bond bond design makes sure every diamond is in the right place and at the right time, working where you need it most. You get maximum use of diamond and bond. Find out more.. If you are like most users, you come across dozens of materials everyday. Would it be nice to have a diamond drill/bit that does an excellent job on most of these materials? Now you can. Sintered (metal bond) diamond core drills/bits Require PROPER USE & SOLID UNDERSTANDING of Proper Diamond Drill/Diamond Tool Principals. Experience well help as well. Careless handling or use in imprecise machinery will result in diamond drill wrecking/breaking, bending or cracking the bond and will prevent future use. Drilling life will vary with manufacturer & application/material factors described in this guide below. While there is no way to accurately predicting diamond drill life, with most conventional sintered (metal bonded) diamond drills, you can expect 350 to 1200 holes, parts machined, or cores. In laboratory tests, Diamond Drills with SMART CUT™ technology have shown to last 2,000+ holes on many applications/materials. Sintered (metal bonded) diamond core drills/bits with SMART CUT™ technology are the latest technology available in diamond drills. And represent the best value and performance per hole or part. Most Electroplated diamond drills/bits have only one layer of diamond coated on a steel body. Diamonds stay only on the surface. When this diamond portion is worn out or peeled off, the diamond drill will slow down, drill on the side (not drill straight) or stop working (drilling) altogether. 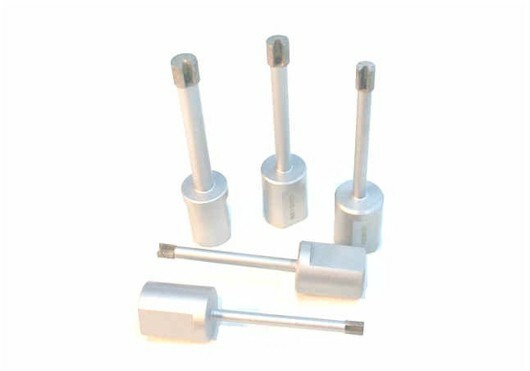 Electroplated diamond core drills Manufactured by UKAM Industrial are Multi Layered. 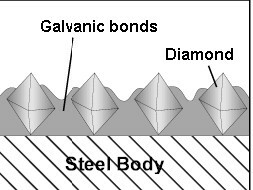 They have 3 layers of diamonds, not just 1 layer of diamonds like conventional electroplated drills. This provides longer drilling life, faster and freer drilling action, & more consistent performance. Varying with application, an average electroplated diamond core drill/bit will last you 80 to 120 holes. 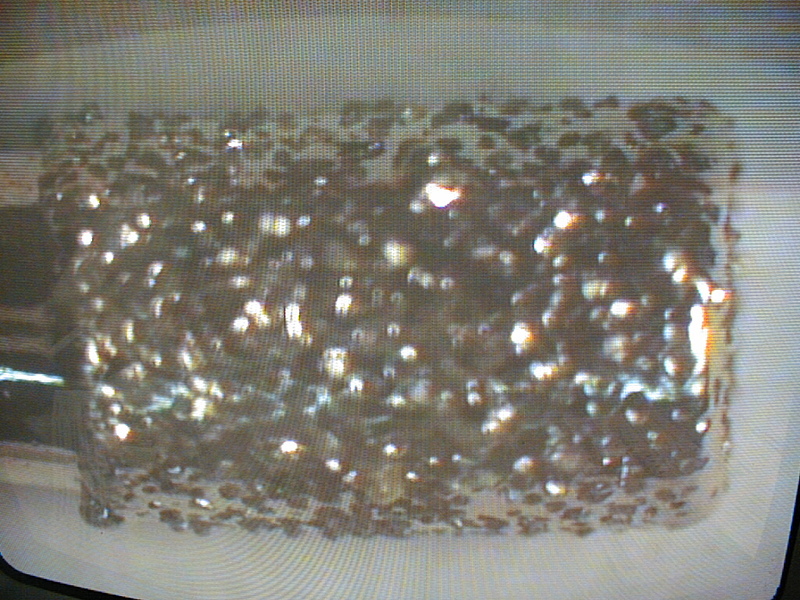 Whereas a conventional metal bond (sintered) diamond drill should last you about 1,200 holes. And a diamond drill with SMART CUT™ technology will last more than 2,000 holes. Once you compare price and performance per hole, SMART CUT™ metal bond diamond core are the best alternative. Electroplated diamond drills/bits cost less, and at first glance may seem like the most cost effective alternative. However, they will cost you more in the long run. Depending on material and application, metal bonded diamond core drills will last significantly more than 20 electroplated diamond drills put together. You can't get more life out of any other drill. Instead of constantly putting diamond core drills on and off the drill press, you will save time and money by using one drill. This means cost per hole, metal bond diamond core drills are the best choice. 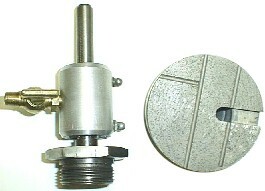 Electroplated diamond drills have only one layer of diamond coated on metal core. Diamonds sit only on the surface. When this diamond portion is peeled off, the diamond drill will slow down, drill on the side (not drill straight) or stop working (drilling) altogether. Metal bonded diamond core drills have diamonds sintered and multiple layers of diamonds impregnated inside the metal matrix. Unlike electroplated drills, metal bond diamond core drills wear evenly, and are known for their consistency. You will get consistent drilling speed, and overall consistent performance from sintered (metal bonded) diamond drills. bond diamond drills. You will find all the advantages of cutting speed and fine finish that you have come to expect in a resin bond, and long life, consistency, aggressiveness, durability, and excellent performance on you look for in a metal bond. When to use the HYBRID BOND? Diamond drills are an excellent alternative to carbide, and other types of drills Unlike carbide, high speed steel, & other types of drills. Diamond drill works by grinds away material on micro (nano) level. Carbide and other types drills on the other hand cut material with a sharp cutting edge. Many users have found that ONE diamond drills can last up to 50+ carbide drills put together. Is a Diamond Core Drill the right tool for your application? To find out, give our Engineering Department a call at Phone: (661) 257-2288. 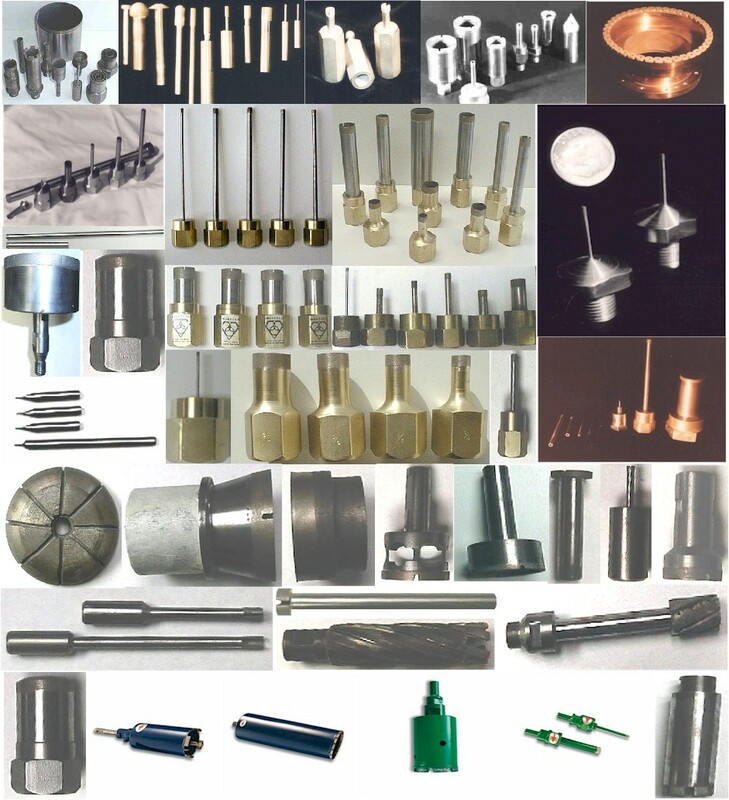 Diamond Core Drill/Bit Mounting Methods: Diamond Drills/Bits must be either mounted on a collet or made with straight shank. Diamond Drills mounted on a collet can be used with water swivel adapter to run high pressure of coolant through center of drill. Diamond drills with straight shank are meant to be placed in drilling machine chuck and cannot be used with water swivel adapter. We recommend using diamond drills/bits that are mounted on a collet. You can always purchase a shank adapter that will thread into the collet, that will convert your diamond drill into a straight shank mounting. Various industries used different collets (mounting methods). Most often used collets are 5/8-11", 5/8-18, 1-14, 3/4-16, 7/8-14, 1-1/4-7", BRANSON (Ultrasonic) and Others. 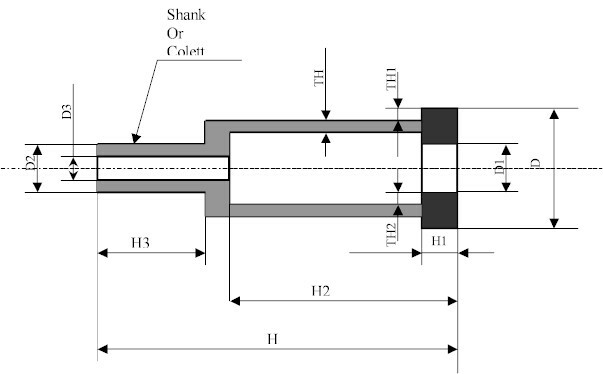 Standard shank sizes are usually 1/4", 3/8", and 1/2" diameter. 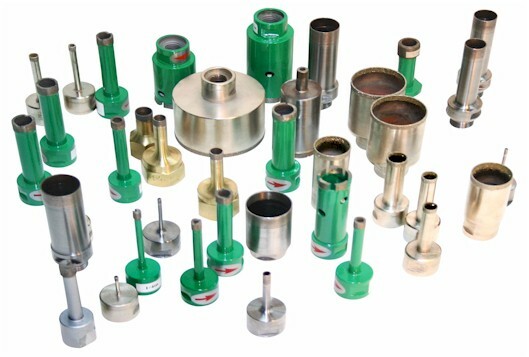 Diamond Core Drills have a hollow tip and are used for drilling through material. A "core" or "plug" is obtained in the process, from middle of the hole. Blind hole drills have a solid tip, and are used to make a small size hole in material. With blind hole drills you are generally limited to how deep you can drill and the size of your hole. 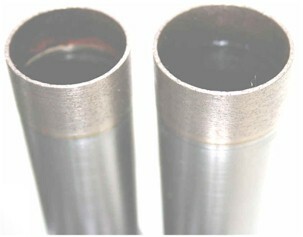 Blind Hole Drills can only obtain a small drilling depth and hole outside diameter (OD) up to 3/8". If you need to make a large Blind Hole, a Bottoming Tool will have to be used. Diamond Core Drills drill much faster than Blind Hole Drills.